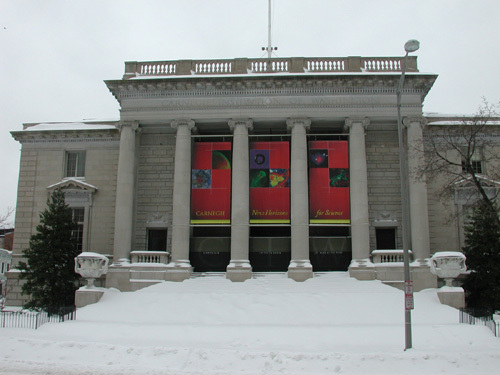 The third annual SSAA Program Symposium was hosted by the Carnegie Institution of Washington at its historic administration building in downtown Washington, DC from February 5-7. Center directors and individual grant recipients from the three divisions of the program (High Energy Density Physics, Low Energy Nuclear Science and Materials Properties Under Extreme Conditions) gave updates on center or group activities and progress. 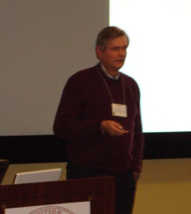 CDAC Director Russell Hemley provided an overview of the program, and CDAC laboratory partner Dana Dattlebaum (Los Alamos National Lab) gave a keynote address outlining the high pressure materials science activities in her group at Los Alamos. At the student poster session, CDAC graduate students were well represented, with 14 of the 19 students currently supported giving poster presentations. 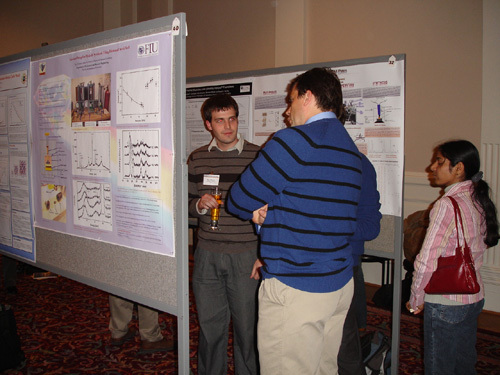 In all, 30 posters were presented by CDAC students, postdoctoral associates, collaborators and partners. As part of the meeting schedule, attendees at the conference toured the research facilities at the Broad Branch Road campus, home of Carnegie's Geophysical Laboratory and Department of Terrestrial Magnetism. For a detailed program of the meeting, see http://www.orau.gov/2007SSAAS/index.htm. CDAC-affiliated Carnegie staff member Alexander Goncharov and an organizing committee including Thomas Duffy (Princeton), Yingwei Fei (Carnegie), Kurt Leinenweber (Arizona State) and Russell Hemley (Carnegie) recently convened a workshop on "Current Status and Prospects for Establishing Precise and Accurate Pressure Scales at High Temperature." Held at Carnegie's Broad Branch Road campus in Washington, DC, from January 26-28, the workshop featured 14 scientific talks by leaders in the science and technology of pressure calibration. Keynote presentations were given by Wilfried Holzapfel (Paderborn, Germany), William Nellis (Harvard University), Ho-kwang Mao (Geophysical Laboratory, Carnegie), Agnes Dewaele (CEA, France), Kenichi Takemura, (NIMS, Japan), Jay Bass (Illinois), Baosheng Li (Stony Brook) and Renata Wentzcovich (Minnesota). The meeting program may be found at: http://www.gl.ciw.edu/conferences/CompresHighPTcalibrationWorkshop/PROGRAM.html. The proceedings from the meeting will be published in an upcoming special issue of the journal High Pressure Research.